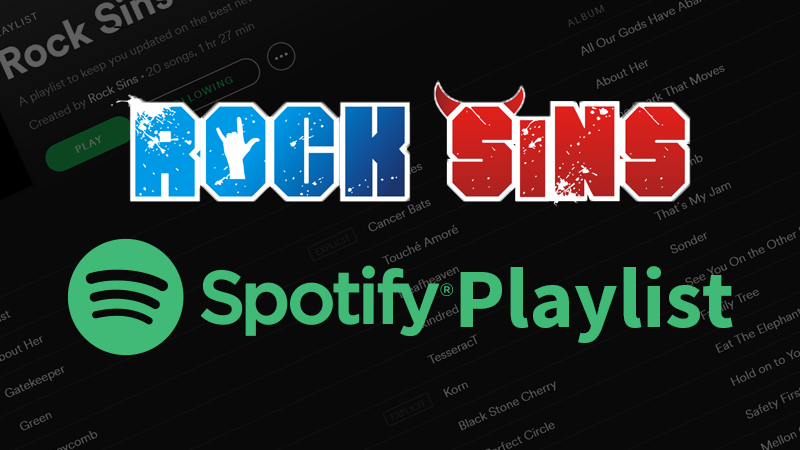 With Rock Sins having a substantial team on the ground at the 2017 Download Festival this year, we thought it might be a bit much to include all the bands from each day in one single mammoth post. So we’ve decided to split things up by stages, and here you can find all the events from the first day of the Zippo Encore stage! 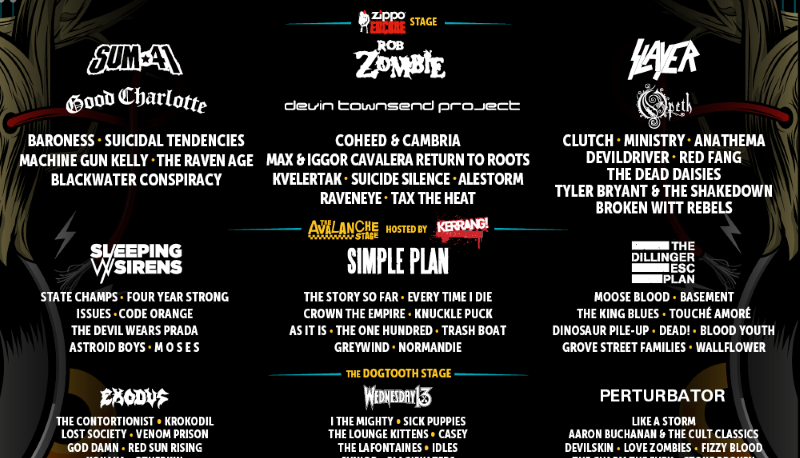 From modern pop punk to a bit of retro pop punk, Good Charlotte’s (7) addition to the Download 2017 line up will have been looked on by many as purely a nostalgia trip, particularly as they were to be followed by their old friends Sum 41. 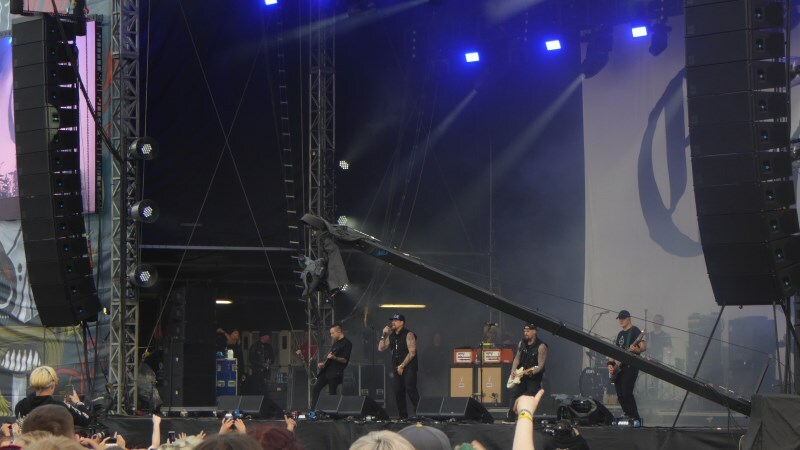 In truth, those people might have been onto something, but Good Charlotte put on one hell of an enjoyable show on their first appearance on the hallowed Donington turf. Drawing heavily from their breakthrough album The Young & The Hopeless for the first half of the set, songs like Riot Girl and The Story Of My Old Man made surprise appearances alongside the near-obligatory Girls & Boys and The Anthem. 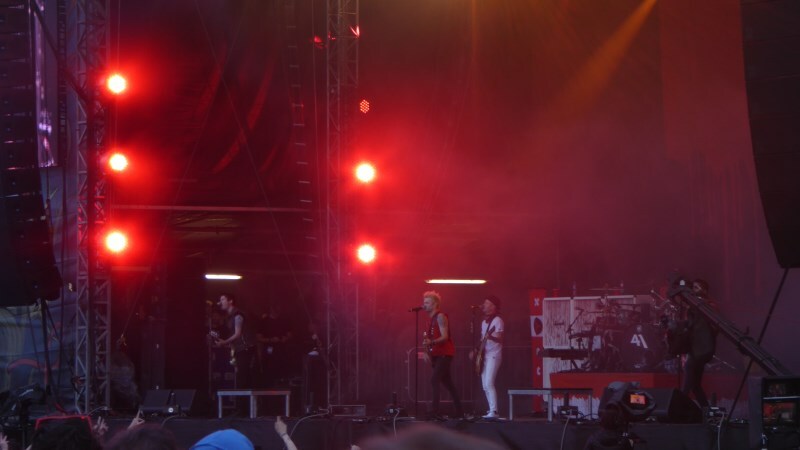 Another band where members, frontman Deryck Whibley in particular, have been battling various demons, Sum 41’s (8) position as Zippo Stage headliners at Download 2017 was something of a redemption for them, and Whibley in particular. They put on a tremendously entertaining set for the most part, with a very strong opening (Hell Song into Over My Head into Fake My Own Death) though it threatened to derail a couple of times when they veered off course into experimenting with other bands’ songs rather than their own. That having been said they are well known for an excellent Master Of Puppets, and ripping straight into the Puppets solo following a bit of Iron Maiden’s The Trooper provided the dose of classic metal for the day, but the less said about the We Will Rock You cover the better. For Friday’s coverage of the other stages, you can check out the day’s events from the Dogtooth and Avalanche Stages right here. The main stage report will follow very soon! Words by Iain Willetts & Jamie Giberti.